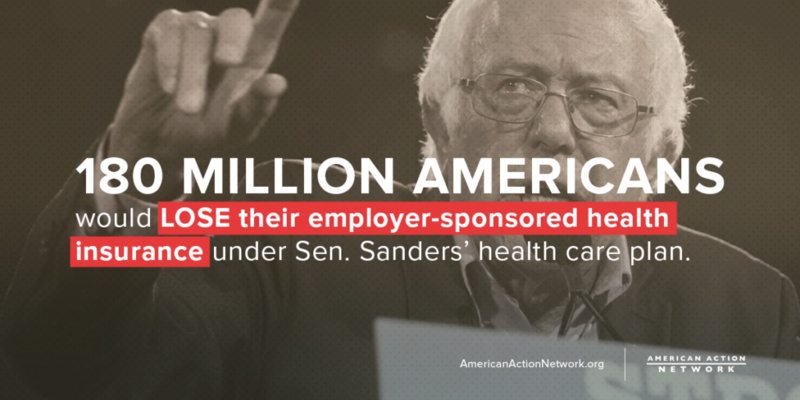 WASHINGTON – American Action Network (AAN) President Dan Conston today issued the following statement on the introduction of Senator Bernie Sanders’ latest legislation to eliminate employer-sponsored health insurance for 180 million Americans and raise taxes on the middle class. The American Action Network is a 501(c)(4) ‘action tank’ that will create, encourage and promote center-right policies based on the principles of freedom, limited government, American exceptionalism, and strong national security. The American Action Network’s primary goal is to put our center-right ideas into action by engaging the hearts and minds of the American people and spurring them into active participation in our democracy.